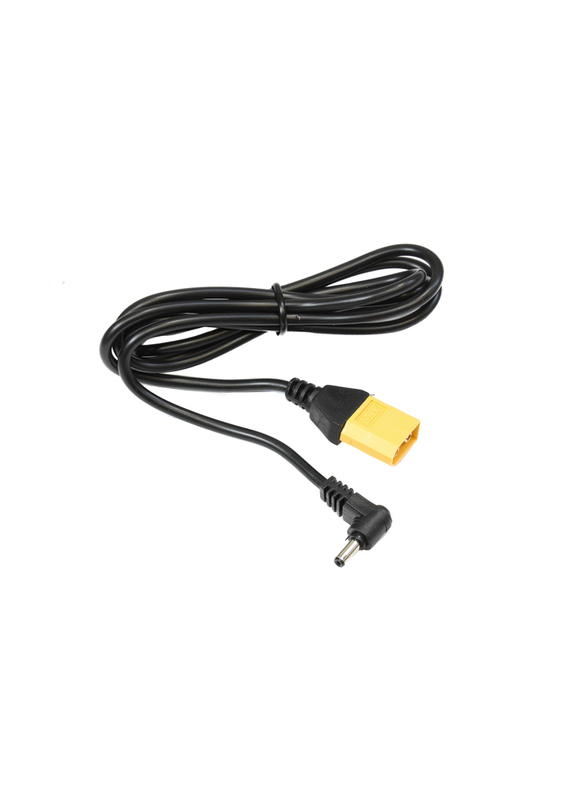 This handy cable is useful to those wanting to power FPV equipment in the field. It has an XT60 battery connector on one end and a right angle DC male barrel plug on the other. 3.5mm: Typically used by FPV monitors. Compatible with 3.5 - 1.3mm dc plug, polarity +ve in the middle and -ve on the outside. 5.5mm: It will work with all FatShark FPV video glasses or any other FPV headset provided they are equipped with the same 5.5 - 2.1mm dc plug and the polarity is +ve in the middle and -ve on the outside.